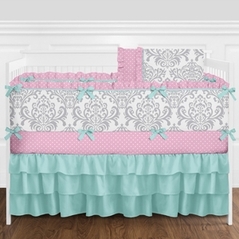 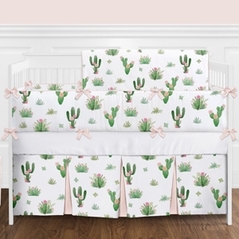 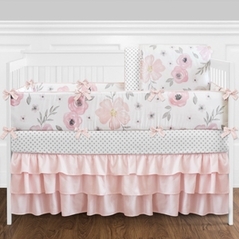 Welcome to our Floral Baby Bedding section! 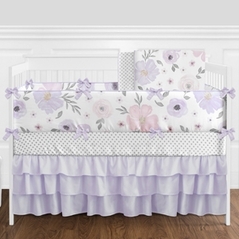 From vivid violets to precocious pinks we have the floral prints and the softest fabrics that will make decorating your nursery not only easy but fun! 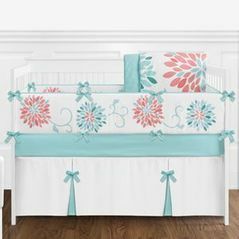 We have many floral crib bedding sets to choose from. 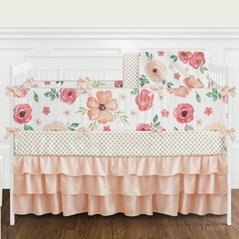 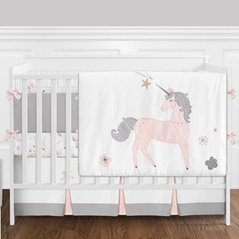 You can look everywhere else but Beyond Bedding has some of the most beautiful pink and rose crib sets with floral baby bedding designs you won�t find anywhere else. 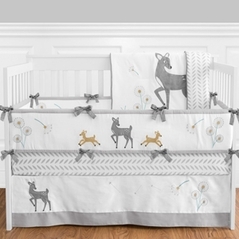 We only carry the very best in baby bedding with flagship brands like Sweet Jojo Designs headlining our product line. 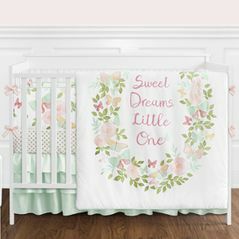 Delicate flower prints in yellow, red, and pink will add a splash of color to your nursery decor. 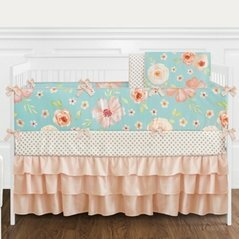 From Asian Crib Bedding inspired designs to the Round Crib Bedding sets Beyond Bedding has hundreds of hypoallergenic and high thread count sets that ensure safety and comfort. 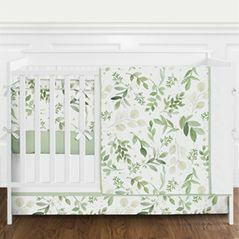 And match any of our sets with coordinating accessories like musical mobiles, clothes hampers, and wall borders to create the motif you were searching for. 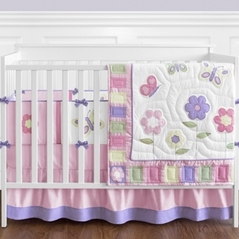 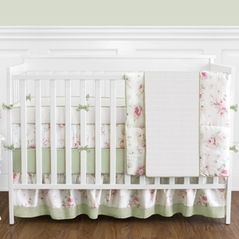 Your baby's room, dressed in its floral baby bedding theme, is sure to bring "ooohs" and "aaahs" from everyone! 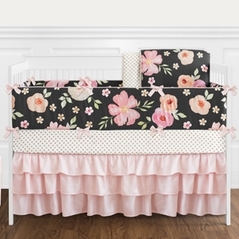 If you like our floral baby bedding, check out the very popular polka dot baby bedding sets. 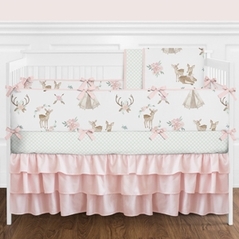 For your shabby chic baby bedding needs our elegant nursery bedding collection that truly is shabby chic.